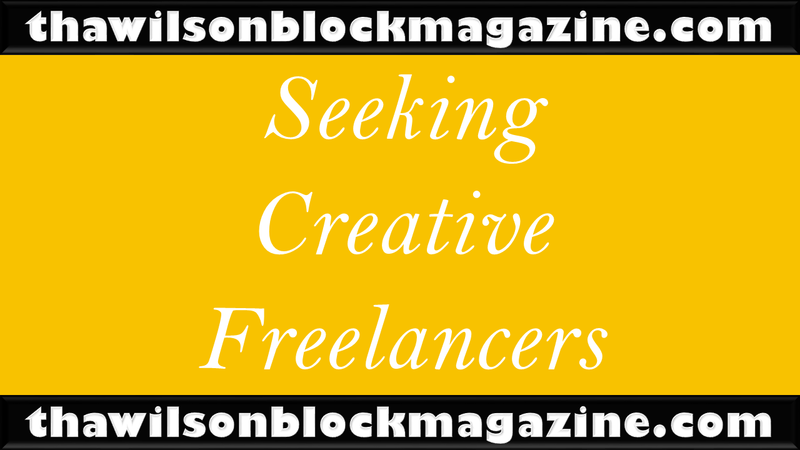 thawilsonblock is now seeking creative freelancers who are interested in creating content around the local music scene. Mistah Wilson is back on an aggressive talent scout mission! But, this time, it's not just for local talent. But, for entrepreneurs who will bring that local talent to the forefront! We are looking to build a community of creative freelancers who are willing to pay it forward and nourish a sense of unity on the local music scene.Your work will surely make a difference! If you fall into any of these categories, you can be a contributor to thawilsonblock magazine and support your local artists! All above mentioned freelance positions are flexible and negotiable. Let's work together! Become a contributor on our Patreon for $7/mo. You can always submit content to us, but becoming a Contributor on our Patreon qualifies you to receive payment for your work. Becoming a Contributor also gives you priority for payment to assure you can make more money than you are contributing. Once you become a Contributor, you will be added to a private group and be eligible to submit work and receive payment for any approved content. Payments are made every 2 weeks. Please keep in mind that the contributions you make go towards helping strengthen the platform you will be working on. Every penny spent goes directly to helping local artists get discovered and share their story! If you have any questions or comments about how to get involved, please call Mistah Wilson at (626)817-6978 or send an Email today!